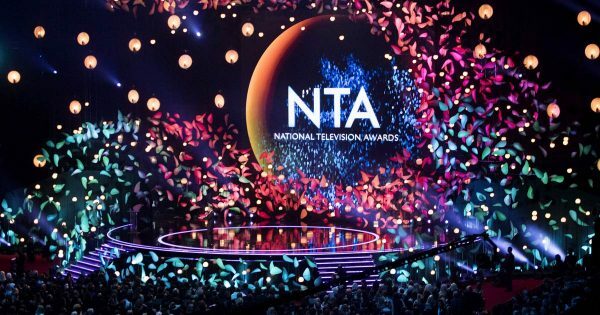 The biggest stars in TV descended on The O2, London for the annual National Television Awards last night – as voted for by the British public. The glitzy ceremony, hosted by Dermot O’Leary saw the gripping BBC1 series, The Body Guard steal the show, winning two gongs for Best New Drama and Drama Performance (Richard Madden – Sgt David Budd). Emmerdale came out on top too, scooping two gongs for Best Newcomer (James Moore who plays Ryan Stocks) and the highly sought-after award Best Serial Drama. Continuing their reign, Ant and Dec won best TV presenter for the 18th time in a row! The award came as a surprise for the duo, following Ant’s drink-driving charge and absence from our screens. In an emotional speech, Ant described the win as a “genuine shock” and dedicated the award to his “best mate” Declan Donnelly. It was a triumph for Phillip Schofield and Holly Willoughby as This Morning bagged the Best Daytime award, and the gong for Best TV judge went to David Walliams.